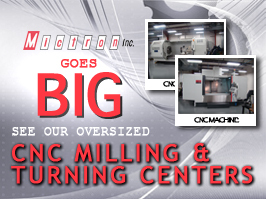 Precision Machine Shop | USA Manufacturer | Mictron Inc.
Aerospace - To be a leader in Aerospace Manufacturing it takes more than desire alone, it takes passion, dedication, and commitment. We meet those requirements with the most technologically advanced CNC Machines and an exceptionally well trained workforce. Medical - In the fast paced world of pharmaceuticals, Medical companies challenge manufacturers to produce a wide range of items. We work side by side with engineers designing and machining the complicated parts that may be needed in such things as research equipment, medical simulators, as well as a variety of medical tools. Industrial - Industrial Manufacturing is the heart of American revitalization. We support this industry by manufacturing components used in all types of machinery, from high tech farming equipment to hydraulic and factory equipment. With quantities ranging from a single prototype, to large quantities, we will help you overcome any challenges you encounter from concept to production.